This is completely new to me but you definitely have me interested in it now. I'm going to go check it out on Amazon. ;) Wonderful review! I like that premise of this one. Meeting your real life heroes in person can sometimes be a let down. When you want at least a novella after it ends, you know it is good. I also hate/love it when it happens and this one sounds like a book I would really enjoy. Love the sound of the characters in this one. Everyone loves this book, but to be honest I completely marked it off as not for me because of my disinterest with sports. I must say I'm incredibly interested in picking this book up now. It sounds like it would be something I'm interested in and I realize I was silly for writing this book off so soon. Wonderful review! I put this book on my tbr-list, thanks to Jasprit. And seeing your high rating I definitely should bump it up in my tbr-list. 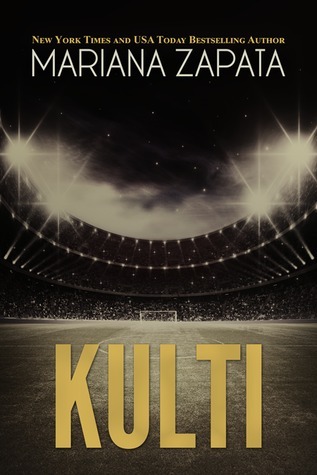 Kulti sounds like an intriguing character. Great review, as always, Keertana!